and work together to create stories, build characters, and discover the joy of improv through play. By the end of of this 8 week course you’ll be letting your creativity and confidence shine! It’s an action-packed course capped with the opportunity to delight your friends and family with your new skills live on stage. 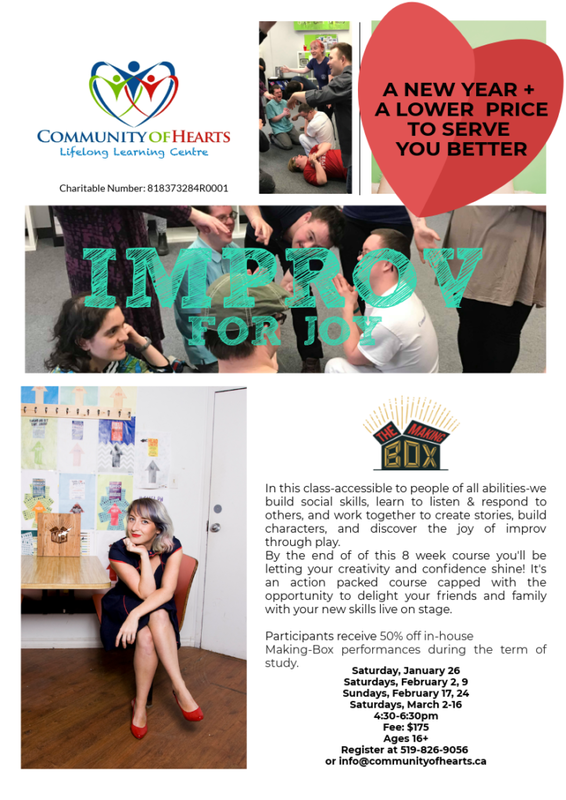 Facilitated by Hayley – Second City trained Improviser, and The Making-Box Improv Director/Instructor for a second round! PERKS: Participants receive 50% off in-house Making-Box performances during the term of study.